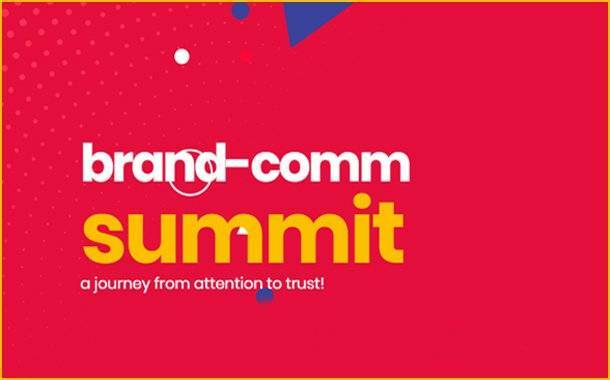 Integrated brand-comm, a Group Company of Madison World, will host the brand-comm Summit, ‘The Journey from Attention to Trust’, on January 11, 2019, at the Royal Orchid Hotel, in Bengaluru. “While organisations and brands across the spectrum have relied on high decibel communications to gain attention, the focus on enhancing trust among their customers and other stakeholders, may not have been as intense. As communication professionals in a post-truth world, the need and relevance to establish authenticity is greater than ever. The brand-comm Summit seeks to address this issue and set the tone for 2019”, said Ramanujam Sridhar, Founder & CEO of the company. Over 120 professionals from the domains of marketing, communications, human resources and corporate affairs are expected to attend the Summit. The platform will witness as many as 12 prominent speakers from across various industries, deliberating on the role of trust in communications, as well as on authentic communication in a post-truth world. The one-day summit will witness industry veterans and stalwarts like Rekha M. Menon, Chairman and Senior MD, Accenture, Sam Balsara, Chairman and MD, Madison Group, C.K. Venkatraman, CEO- Jewellery Division, Titan Company Ltd, Shekhar Vishwanathan, Vice Chairman and Whole-time Director, Toyota Kirloskar Motors Ltd, Ramesh Jude Thomas, President and Chief Knowledge Officer, Equitor Consulting, take the main stage to discuss the current communications and marketing landscape. Other industry professionals namely, Ajey Maharaj, Head of Corporate Communications, Fortis Healthcare, J. Suresh, CEO, Arvind Brands, Dr. Atish Chattopadhyay, Director, IFIM Business School, Subhabrata Ghosh, Founder, President and CEO, Celsius 100 Innovation Consulting & Director, Lithium Urban Technologies Ltd, Sridhar Ramanujam, CEO & Founder, Integrated Brand-comm Pvt Ltd, K. Shankar, CEO, Feedback Consulting, Dr. Soundarya Rajesh, Founder-President, AVTAR Group and R Gopalakrishnan, CEO, Mindworks, will be providing their astute insights through a series of individual, as well as plenary sessions. Integrated brand comm completed 20 years of existence, on December 18, 2018. A leading communications consultancy company, brand-comm offers a comprehensive and integrated range of services across Public Relations, Digital Marketing and Brand Advisory. Founded by Sridhar Ramanujam in 1998, the company prides itself for having a distinctive ‘Client First’ culture.